Gain access to valuable resources to support initiatives, objectives and monetization on The OIX Platform. Seamlessly discover, generate, manage and monetize. An end-to-end, secure, enterprise class, cloud-based technology platform to harness the value of economic development programs. OIX is proud to integrate CCH IntelliConnect provided by Wolters Kluwer Law & Business. A complete end-to-end, secure, enterprise class, cloud-based technology to harness the value of economic development programs. Find a practitioner that specializes in the vertical you're looking for. Find a broker or syndicator to help you buy, sell or monetize incentives. We can tell you more about incentive programs, their use, and path to monetization than any resource in the world. We have data on credits and incentives around the world to help you make informed decisions. 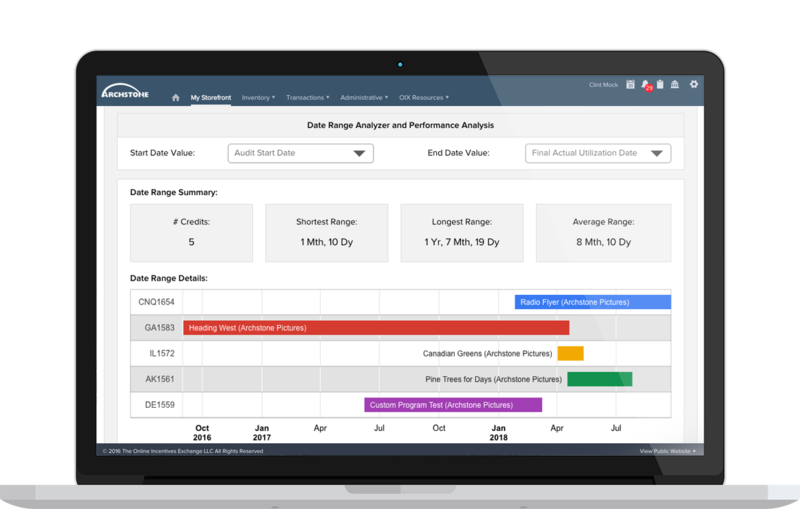 Our systems analyze historic behavior and empirical learnings for accurate analysis, forecasting, and to formulate proven workflow and compliance processes. We are developing technologies to automate calculation, identification, compliance, stacking and tax efficient structures to maximize credits & incentives.